2 Titling your lead magnet. How to create a lead magnet is an interesting question, but before answering that, let us first understand what a lead magnet is. A lead magnet is anything that offers a valuable thing that is usually free, in exchange of the contact information, primarily the email address. The end goal of the lead magnet is to gain as many targeted leads, which is attainable for an offer. Why you need a lead magnet? Like most businesses, if you are amongst those that watch the major part of your traffic leave without taking action, then it means your visitors are not prepared to take action, more specifically, buy. But we also know that for a successful sale, a relationship needs to be made and trust needs to be established. And truth be told, the probably of making this happen on the first visit has a very low probability. To understand this more in depth, ask yourself this question that do you trust brands that you visit on their web pages for the first time? No, right? We generally tend to research the site to some extent where we feel comfortable thinking about taking any action. What you need to do is grab their attention in the first 8 seconds when they are on your landing page. People generally tend to compare your product or services with your competitors and see if they are getting the best deal. So think about what will make someone to choose you over them? You have not even met them once or seen them, so they should get something from you which can make them come back to you. You give them a piece of collateral which they get to walk away with and they get to keep and hold on to. It can be anything that is a digital file or a video or anything that makes your offering interesting. You can ask them to give them their email in exchange for a piece of the collateral. Now, here lies the tricky part. Its not about what you give. It’s about the value you add to the person’s life with what you give. And that is what will make them come back to you. This is vital because if yours was an offline store, people would walk in and you would interact with them face to face and create value of your product or services in their eye. But when you do things online, you do not have the advantage that you had with an offline store. You are physically not present to give them the piece of collateral which they get to keep. You can say that what’s the point of giving them something that they might not open up once they get? True, but with their email, you have a chance to start building up and it is often times said that it takes about 15-20 touches for someone to be able to go out and make a purchase from you. 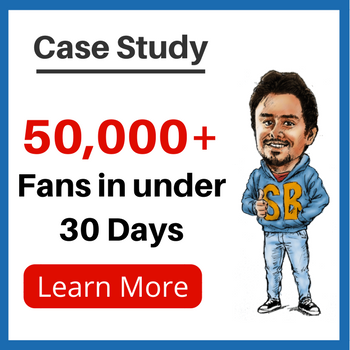 So, the best option is to automate this process as you are having a much bigger audience and you or your team is a very small number in front of the huge audience. So create a lead magnet which is free but is of a very high value. Lead magnet is a genius thing to have as it’s a high value, low-risk offer to your website visitors. In exchange of your collateral, you can get their email. And by having their email, you can build rapport with that prospect and help prime them into others micro-YESes that don’t scare them. First, the person who has provided you with the email knows that you can bombard them with email, yet showed confidence in you as he feels that you constantly selling them is worth the reward of receiving your free gift. Secondly, the person who gives away his email has decided that you are trustworthy and you can add value to their life with what you have to offer, so they willingly give you their email address. In both the cases, it is expected of you to respect the transaction and follow the principle of under promise, over delivery. This means that you are providing them a valuable lead magnet in exchange of the email and contact information that they are providing. The best way to make a sign up more valuable is to solve a big problem or help them discover something. The most powerful lead magnets understand the state of awareness that the email sign up is currently at, they meet them there and helps them progress to a higher state of awareness. Once you understand how building trust and relationship is vital for your sales funnel, you will be able to create a list of prospects and clients with a high lifetime value rather than one-off sales. Now you must be wondering how your lead magnet must be or ideas related to lead magnet. First, if you have a group of buyers, you can request them to take a short survey and identify their responses about what challenges they are facing, their desires, and what pet peeves are in relation to your industry. The most common answer becomes your focus for the lead magnet. Whereas, if you do not have a group of buyers, you can move to the next point. Second, you need to be outstanding with respect to your competition. You should have an idea about what your competitors are trying to gain leads and raise your game one-step ahead to stay afloat in the industry. Third, you can look up for popular niches and the topics that they cover. The comments that readers leave can also give you an idea if you could improve in that niche and make people satisfied. You can get plenty of rich ideas about what you lead magnets should be here. It has been explained in great detail with examples. The primary thing that attracts attention towards your lead magnet is the name of the lead magnet. You can think of it as the cover of the book. We already know that most books are sold by the attractive index of the book’s cover page and very little judgment is made from the quality that has been delivered inside. So the title of your lead magnet can make or break things for you. Head-on and descriptive – Clear will beat clever any given day. By this, I mean to make you realize that your lead magnet title should be clear. Most people try to be funny and clever while deciding the title and as a result, they do not send clear messages in the title of the lead magnet. This is important because people want to get a slightly clear picture of what they are going to get from the first glance on the lead magnet. As an example, you can use title as this: ‘The Beginner’s Guide to Online Marketing’. Speak to a desired end result – Never reveal the details of what they will be getting, instead notify them about the end result they should be expecting. This should be appealing enough for someone to want it. For example: ‘How To Win Friends And Influence People’. Reduction to the absurd – You should create a title without revealing much information about what the main content is going to contain. The title should be such that people don’t necessarily believe but it should be interesting enough to grab. For example: ‘The 4-Hour Workweek’. Shocking number, statements and facts – The best attention grabber is when people see numbers that speak for themselves. Part of this has to do with novelty, ie. When we learn something shocking, we get entertained by it. It also has to do with our brains constantly looking out for danger and reward. Whenever we see a crazy number that is proof of something we want to believe in but haven’t yet believed, we tend to stop and look at it. For example: ‘How I Went From $0 to Over $10 Million In Less Than A Year’. So, let us say you have a killer idea for your lead magnet. You worked on that idea and has made a killer title as well. However, the big question is, how would you get people to opt in your lead magnet for a free gift? If you recall from the sales process overview, you usually send traffic from Ads, SEO both organic and paid or JV partners to a specific landing page that contains your lead magnet. We all know that the landing page is the place where we want our visitors to be directed to. But how to get them up to the landing page? There are many options as how it can be made possible. You can make them click on an ad and that directs them to the landing page, or your ad can send them to one of your best articles, and inside the article you place a button that lets visitors opt-in. You can also have a deal with a venture wherein they redirect traffic to your landing page in exchange of a commission. The best way to establish trust in the least time is to keep your focus on the person who landed on your site instead of wondering why others didn’t. Your landing page shouldn’t be your website page. It is just a plain page where in your free gift is there and a footnote with the terms and conditions of receiving the free gift. This is simply because the more options people have to click, the easier it becomes to lose customers. So restricting them to just a few clicks is the best way to help them maintain focus. Help the visitors realize that they are on the right page. Satisfy their ‘What’s in it for me’ factor for them. Guide them on how to take action. Except the headline, all are optional, depending on business requirements. Headline – It is the first thing that visitors see when they are on your landing page. Headline should be catchy enough to attract attention. You have an average of 3-8 seconds to grab a visitors attention before they move on to the next page. It should be something which should make them want to read further. Example: Stop the weight loss battle! Lose 15 Lbs. in 7 days with ease. Sub-headlines – They are a lot like primary headlines. They give a brief idea about the content that will be covered. They are like a support statement to a headline. Example: No more restricting yourself, trying to memorize complicated rules and eating food that only a rabbit could love to drop those last few pounds. Benefit bullet points – These should be snappy and should be to the point to show the user what they have to gain from your free gift they get in exchange of their email and the value it adds to their life. Do not exceed a maximum of 5 bullets. Credibility Factors – This is used to help bolster the trust between your cold prospect and your brand. Image of gift – you need to necessarily have a picture of your free gift as it gives the element of belongingness of the item to the visitor. Most people are visibly motivated when they see such valuable things. In all these cases, quality rules the market. If people do not find your product or free gift valuable, they will not hesitate to move to your competitor. A Good Lead Magnet is all that you need to substantially increase your Business. 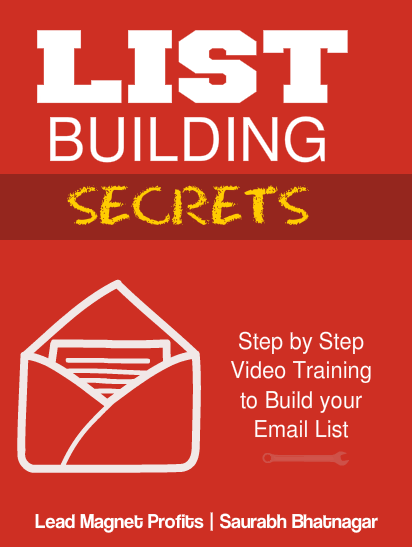 Don’t shy away in making a Lead Magnet. Someone once said “All you need is One Good Funnel to change your Life”. 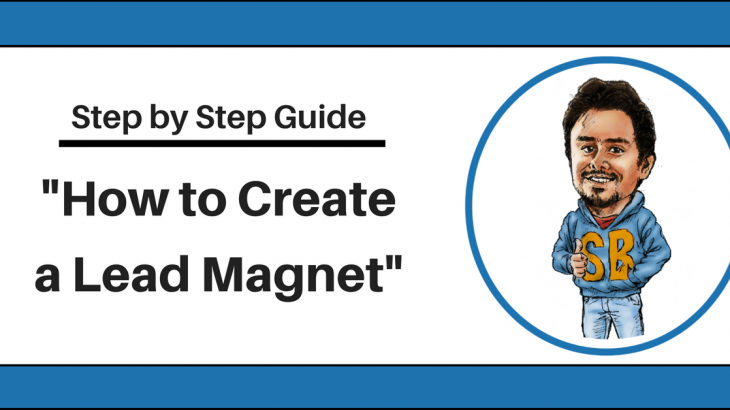 Step by Step Guide Lead Magnet, lead magnet training, step by step lead magnet guide. permalink.